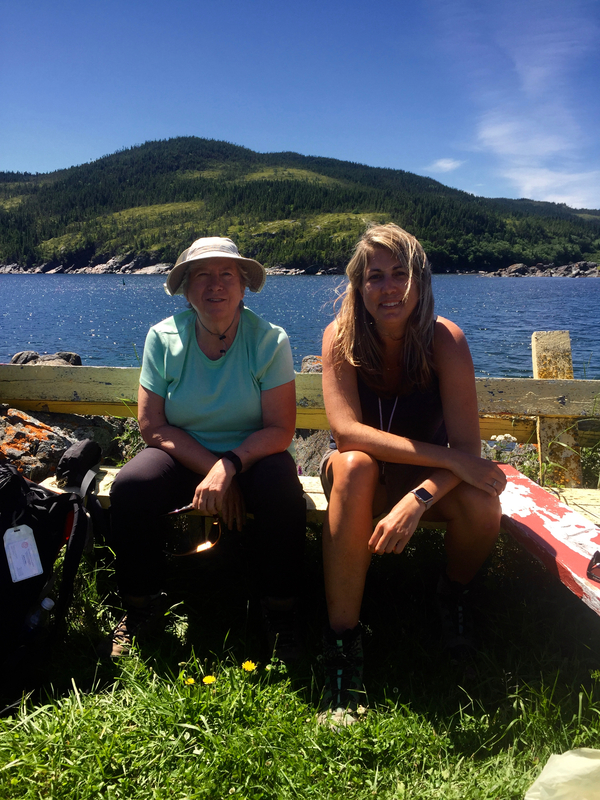 In July 2016, graduate students in the Tectonic Problems course travelled to western Newfoundland to study geology under the guidance of John Dewey, a Jackson School visiting professor emeritus from Oxford University. 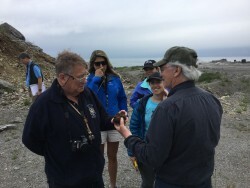 John Dewey (left) discussing a rock sample with Jack Casey. Dewey’s field studies in Newfoundland and Ireland in the 1960s led to papers that laid the foundation to how plate tectonic movements explain the geology of mountain belts. In 1970, Dewey and colleague John Bird changed the field of geology forever with a seminal paper titled “Mountain belts and the new global tectonics.” Unravelingthe geology of Newfoundland and the comparison to western Ireland played a pivotal role in their revelations about how our planet behaves. Since then, Dewey, aided by numerous students, continues to map and unravel the detailed geology of these areas. The spring Tectonic Problems class, with the theme of “Ordovician Arc-Continent Collision and Ophiolite Obduction,” spent the spring semester studying the geology and tectonic history of Newfoundland by reading papers by Dewey, his students and many others. 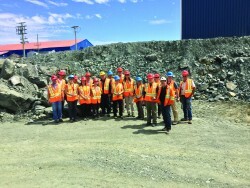 The capstone of the class was the summer field trip, which was co-led by one of Dewey’s former students, University of Houston Professor John Casey. JSG Dean Sharon Mosher with Assistant Professor Whitney Behr. 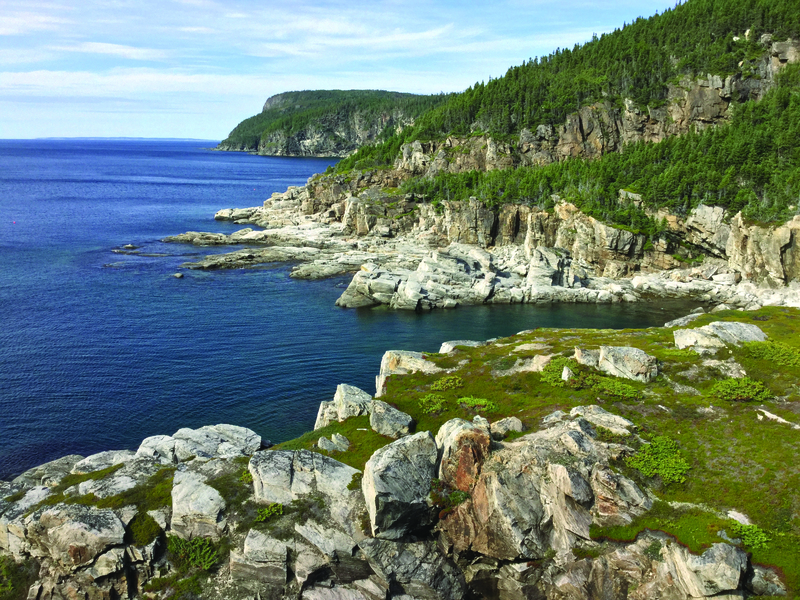 “It’s not often that you get to visit the outcrops with the people whose study of them led to papers that changed the books,” said Jackson School Professor Mark Cloos. Dewey, a member of the U.S. National Academy of Sciences and a fellow of the Royal Society, has led three field trips for the Department of Geological Sciences. Two years ago he led a graduate student trip to western Ireland to see the area in which he did his own dissertation studies that led him to visit correlative terranes in Newfoundland. Last year, he took the undergraduate honors students to see the geology of northern England and Scotland, including Siccar Point and the Moine Thrust. 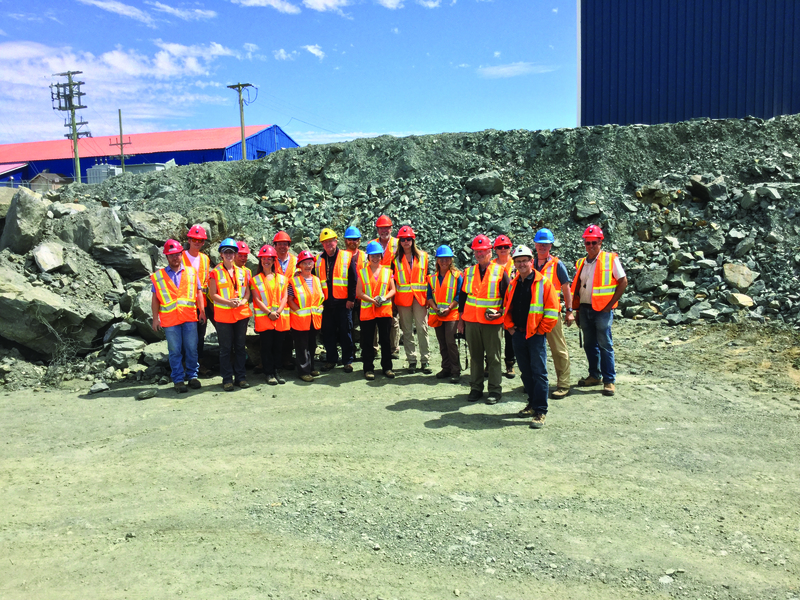 The group visiting the Ming copper and gold mine. Rich Ketcham, UTIG Research Scientist Nick Hayman and Distinguished Senior Lecturer Mark Helper. Dean Sharon Mosher, who arranged Dewey’s visits to Austin as a visiting professor, also participated on this extraordinary trip.